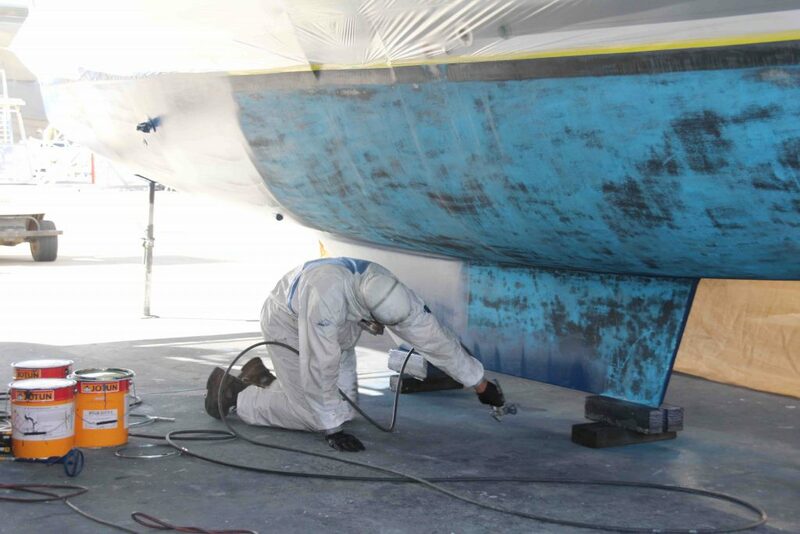 Affordable Antifoul giving the hulls a coat of paint. We’ve also caught up with friends and chatted – a lot. The Boat Works at Coomera is a bit like a giant van park combined with a refurbishment centre for boats. There’s always someone we know who’s here working on their vessel. The boat yard has a great reputation amongst cruising yachties because they welcome us as live-aboards. What does that mean? At other yards we’d need to find accomodation ashore close to the boat and then organise transport to get there and back. The Boat Works set-up means we can still live on Roobi, have access to shower and laundry facilities, use one of their courtesy cars, and catch up with other hard working sailors on the handstand. It makes the world of difference to know at the end of the day there’s a hot shower waiting for me and my clothes can be cleaned as well. 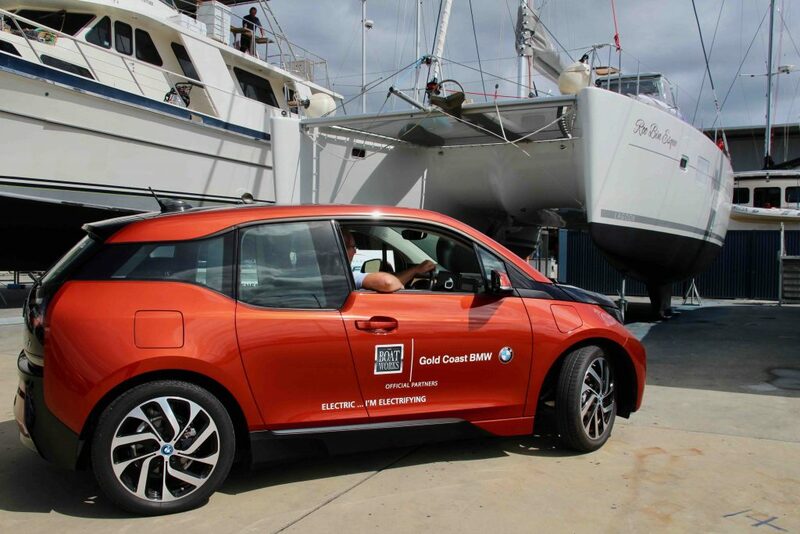 The electric car is all part of The Boat Works aim to do their bit for the environment. It’s great to see a boat yard being so proactive on so many levels from their waste water treatment to their recycling programme, to their rainwater collection tanks, and now to using electric cars. Full marks for not only providing great service, but for looking to the future as well. Blog Adventure, Boat detailing, Gold Coast BMW, Helene Young, Remember Me, Roobinesque, sailing, The Boat Works, Travel. permalink.